The Round Table sponsors or participates in an annual fall fieldtrip to a major Civil War battlefield. The trip usually takes place the last weekend in October. Recent field trips have included tours of the battlefields of Gettysburg, Antietam, Charleston, and Vicksburg. Past spring trips have included tours of the battles of Galveston and Sabine Pass. Fieldtrips have deadlines and a limited number of seats. Please plan to revisit this page to learn about upcomming field trips. 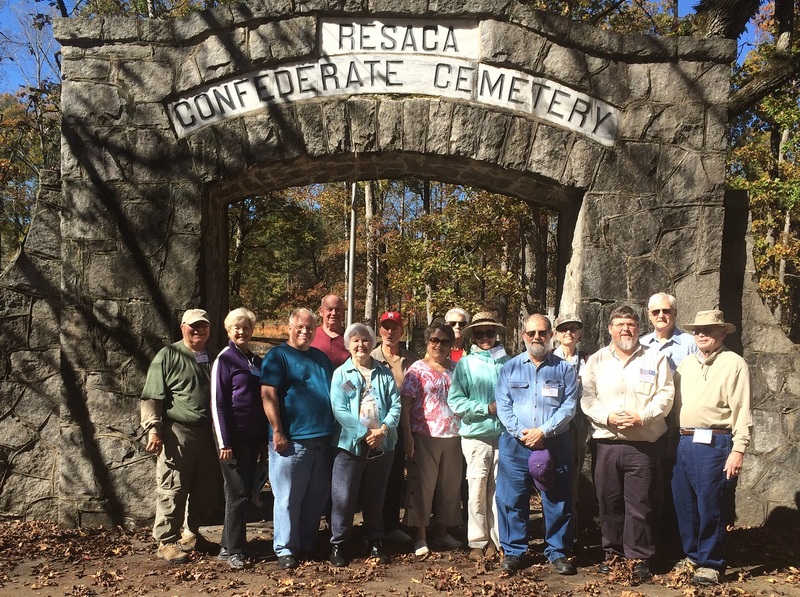 2016 Fall Fieldtrip - The Battle of Franklin and American Memory History Symposium. 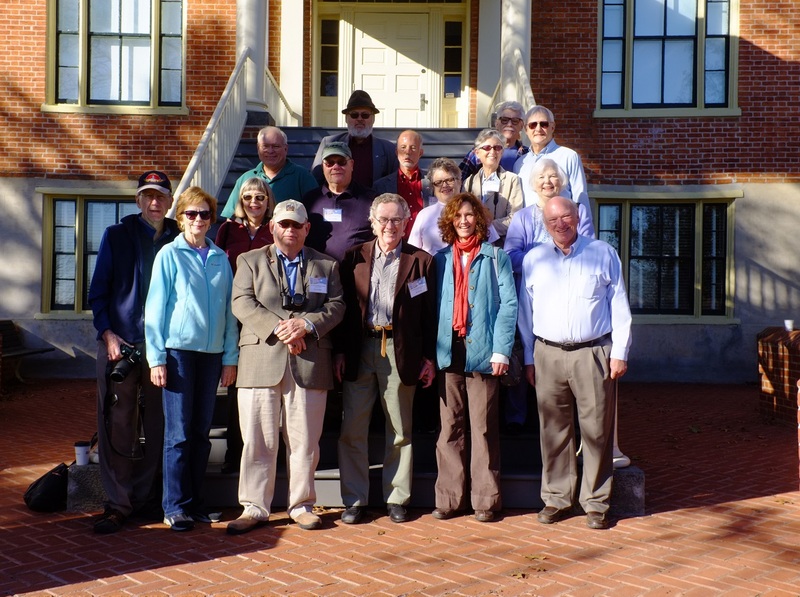 The 2016 annual Fall Field Trip visited Franklin, Tennessee to attend the The Battle of Franklin and American Memory History Symposium which was held from Thursday, October 20, 2016 through Saturday. October 22, 2016. The Itinerary included a reception Thursday evening and ended on Saturday with Cocktails and hors d’oeuvres at Drury. Through lectures, panel discussions, and tours of the battlefield and historic homes, the symposium offered an in-depth look at the Civil War in 1864 and the long post-war years. Attendees learned about the events leading up to the Battle of Franklin, the battle itself, and civilian perspectives. The long path to our modern times were covered. This symposium allowed guests to learn about these pivotal moments in American history in a unique way. The Battle of Franklin Trust sponsored the symposium. 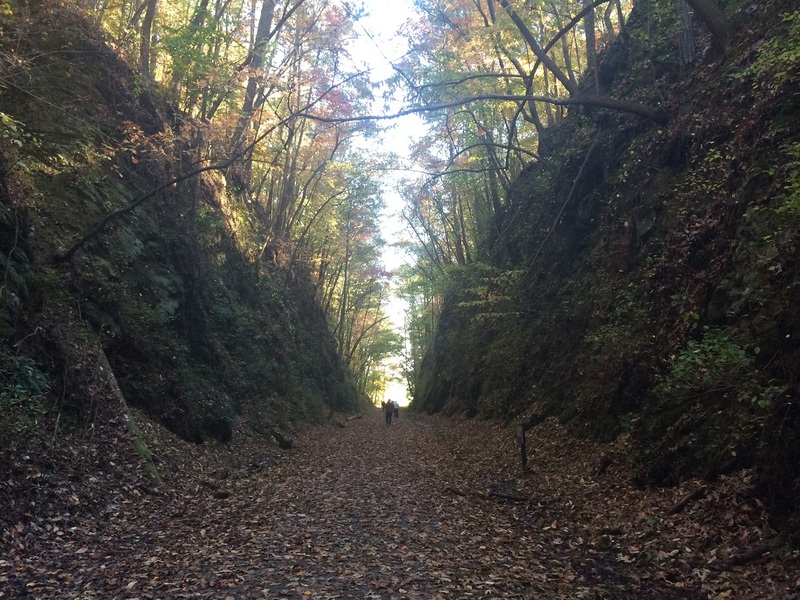 2015 Fall Fieldtrip - The Atlanta Campaign. The 2105 Fall Field Trip found the travelers in Georgia investigating the 1864 Atlanta Campaign. Dr. Brian Steel Wills who gave us a very informative lecture on the campaign in September of 2014, was our tour guide. Dr. Wills is Director of the Center for the Study of the Civil War Era and Professor of History at Kennesaw State University. We spent the better part of 5 days in beautiful Georgia. After arriving in Atlanta around the noon hour on Thursday, the 29th of October, we had lunch on our way to Kennesaw before visiting the Southern Museum of Civil War and Locomotive History in Kennesaw. After closing the museum, we had dinner in Kennesaw followed by a lecture from Dr. Wills at the Center for the Study of the Civil War Era at Kennesaw State University. We then retired to our hotel, the Comfort Inn in Kennesaw. Friday, after breaking our fast at the hotel, we left at 8:00 am to visit Ringgold Gap, Rocky Face Ridge, Dalton and Dug Gap. After lunch we visited Snake Creek Gap, Resaca, Kingston, Cassville, and Allatoona Pass then returned to the hotel and had dinner in Kennesaw. Saturday, the group visited Pickett’s Mill and New Hope Church in the morning and toured Dallas, Pine Mountain, Gilgal Church, and Kolb’s Farm after lunch. We again had dinner in Kennesaw. Sunday, after leaving the hotel bright and early we visited the Kennesaw Mountain Battlefield and Visitor Center, Big Kennesaw, and Pigeon Hill. That afternoon we toured the staging area for Cheatham Hill, the Union attack route, and the Confederate defenses. The latter part of the afternoon was spent in Marietta where we also had dinner. Monday, we visited the Atlanta History Center before our later afternoon flight home to Houston. For the 2014 Field Trip, we followed the Confederate approach to Gettysburg in 1863, including Early’s March to the Susquehanna, and Lee’s subsequent retreat after the Battle of Gettysburg to cross the Potomac en route to Virginia. Sadly, there was no 2013 fall Fieldtrip. The 2012 fall Fieldtrip took us to Charleston, South Carolina. We traveled to Charleston on Thursday, November 1st 2012. On Friday and Saturday we visited Fort Moultrie, Breech Inlet, Fort Sumter, Hunley, The Magnolia Cemetery, Ft Johnson and the site of The Battle of Secessionville. On Sunday we made our way to Beaufort and went on a walking tour of Beaufort and also saw The Honey Hill Battlefield. Tired but happy, we returned to Houston on Monday the 5th of November. For our 2011 fall Fieldtrip we studied The 1864 Overland Campaign, covering the battles of; The Wilderness, Spotsylvania Courthouse, and Cold Harbor. Our guide was Frank O'Reilly. The trip began on Thursday, October 27th 2011 and we returned to Houston on Monday, October 31st 2011. Click here to see Bill Pannill’s 2011 Fieldtrip Slide Show as a website presentation. Our 2010 fall Fieldtrip found us in and around the Richmond area. We were led on a tour of the Seven Days Battle by Robert E. L. Krick of the Richmond NBP. The trip began on Thursday, November 4, 2010 and we returned to Houston on Sunday, November 7, 2010. The 2009 fall Fieldtrip took us to Gettysburg from October 22 through October 26, 2009. Our battlefield guide was again the incomparable Ed Bearss. The Brigade went to Petersburg Virginia in 2007, visiting the site of the longest military event of the Civil War. Nine and a half months, 70,000 casualties, the suffering of civilians, thousands of U. S. Colored Troops fighting for the freedom of their race, and the decline of Gen. Robert E. Lee's Army of No. Virginia all describe the Siege of Petersburg. It was here Gen. Ulysses S. Grant cut off all of Petersburg's supply lines ensuring the fall of Richmond on April 3, 1865. Six days later, Lee surrendered. Download the 2007 Fieldtrip Slide Show. The 2005 fall Fieldtrip followed the Red River Campaign of 1864 through Louisiana. Dates were October 27 to 31, 2005. Our battlefield guide was again the incomparable Ed Bearss. The 2004 fall Fieldtrip followed the Shenandoah Valley campaigns of General Stonewall Jackson in 1862 and General Jubal Early in 1864. Ed Bearss again led the tour, which took place October, 2004. The 2003 fall Fieldtrip went to Shiloh, site of the first great battle of Tennessee in 1862 in which the Union general U.S. Grant fought the Confederate General Albert Sidney Johnston - a Texan - to a draw. General Johnston died as a result of a wound he received in the fighting. The noted battlefield guide Ed Bearss, retired chief historian of the National Park Service, led the tour in November, 2003.